Our client, Mrs K, required multiple surgeries after suffering post-operative anastomotic leaks and a ureteric injury during surgery for bowel obstruction. Unfortunately, Mrs K then suffered a head injury and stroke when she tripped over a raised area in the hospital corridor. At that time it was also found that a JJ stent had been left in place for 9 months after her previous surgery, causing urosepsis and other urological problems. Mrs K had a long history of Crohn’s disease and was admitted to hospital with a bowel obstruction. After attempting to treat this conservatively she was readmitted to undergo a laparotomy surgery. After the surgery she suffered from a leak from the anastomosis (the surgical connection joining the bowel). She required a second surgery nine days later as she had widespread peritonitis (inflammation of the peritoneum) caused by faecal leakage. During this surgery, Mrs K sustained an injury to her right ureter and required a JJ stent. Mrs K suffered with multiple urological difficulties from that time, including urine infections and urosepsis. Six months after her original surgery Mrs K attended the hospital for a blood test. She was walking down the corridor when she tripped and fell, hitting her head on a raised area which had been stuck down with black sticky tape. There were maintenance works going on at the time, although no workmen were present and the area was not cordoned off. Nor were there any warning signs. Mrs K became unresponsive after hitting her head and there was a pool of blood underneath her head, by her eye. Mrs K had sustained a fractured femur which required surgery with a plate and screws. She also sustained a head injury which caused small brain bleeds and a stroke. Two months later, during her admission, it was realised that Mrs K’s JJ stent had not been removed and that this had caused urosepsis and other urological problems. Mrs K suffered vision problems due to the stroke which affected her ability to drive but otherwise made a good recovery. Jennifer Waight was instructed to act for Mrs K, in relation to her clinical negligence and her personal injury. Jennifer ran the two cases simultaneously, obtaining medical evidence from various experts. Jennifer successfully obtained out-of-court settlements totalling £49,000 to compensate Mrs K for her pain and suffering and to pay for her future care needs. Jennifer specialises in clinical negligence and personal injury cases. 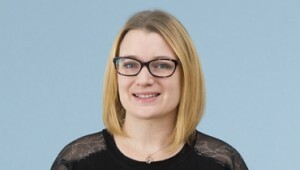 If you would like to ask Jennifer a question about a potential case, or if you have a general query about any personal injury or clinical negligence, contact Jennifer Waight at Thomson Snell & Passmore solicitors on 01892 701374 in confidence.